There must be a sort of an “if-a-woodchuck-could-chuck-wood” tongue-twister using the Parasaurolophus, don’t you think? If a Pair of Parasaurolophus could pare pairs… uh… maybe not. 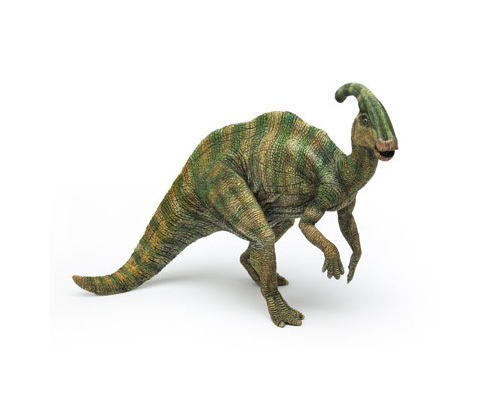 Like the other four new dinosaur entries from Papo this Parasaurolophus is finely detailed, nicely painted, and has lifelike pose. It stands about 5″ tall and 7.5″ long. Tags: collectibles, parasaurolophus, figure, Model, Papo.